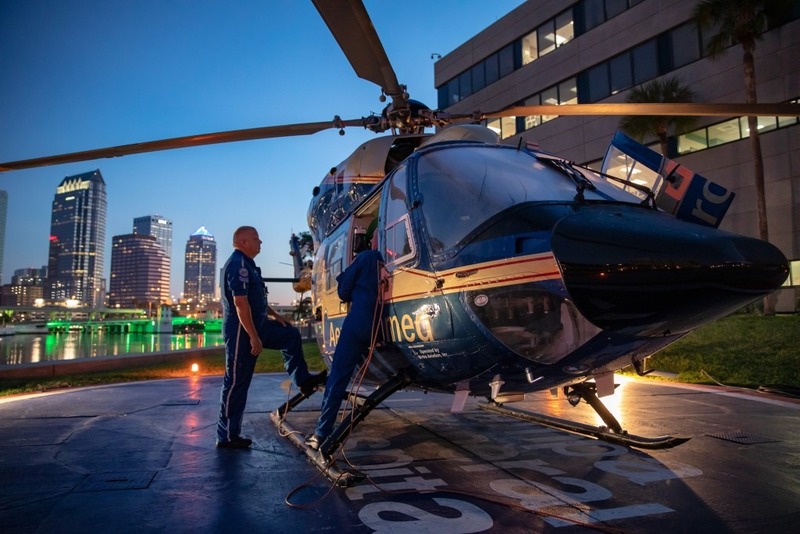 Thirty years ago this week, the men and women of Tampa General Hospital’s Aeromed began flying helicopters and saving lives. They have been speeding though the skies ever since. But they’re not heroes, said Nurse Manager John Scott in a recent interview. Sitting at his desk in a rare quiet moment on a Tuesday afternoon, Scott expressed plenty of pride in the 75 pilots, nurses, paramedics and FAA-certified EMTs who make up this unique life-saving air service. They’re highly trained, highly dedicated professionals with a critically important job, Scott said. And that, he pointed out, makes them like many other teams at TGH. But just as Scott was talking -- beep-beep-beep -- an alarm blared out in the Aeromed command center. And so three people who do not consider themselves heroes walked briskly to the helipad on the TGH main campus. The pilot, nurse and paramedic roared into the sky, on a mission to save the life of a critically injured infant child. This is the life of Aeromed - every day, every night, every weekend, every month, every decade. These team members train and fly constantly. 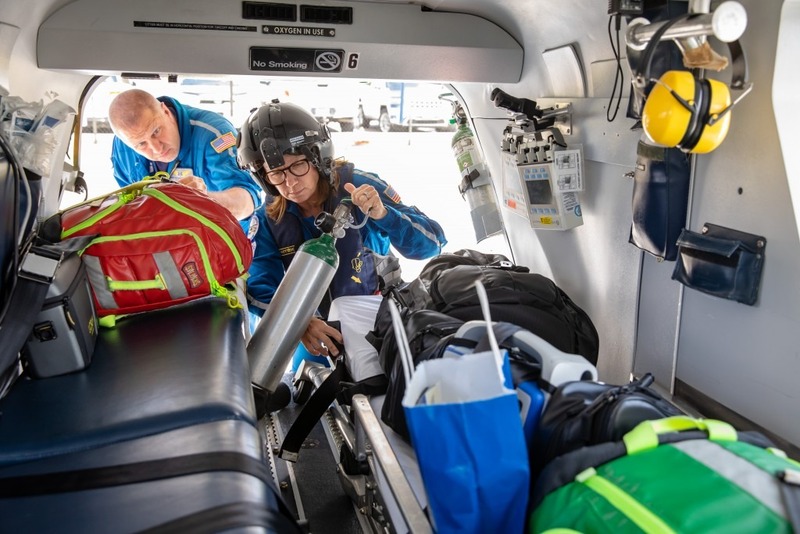 They know minutes saved by training can save the lives of the critically injured and the seriously ill.
“You don’t know when the tones are going to go off, but you better be ready to go at any moment,” said Heather Collins, registered flight nurse. She has flown with Aeromed virtually the full 30 years, and works 12-hour shifts beginning at 7 p.m. Three decades later, she still loves it. 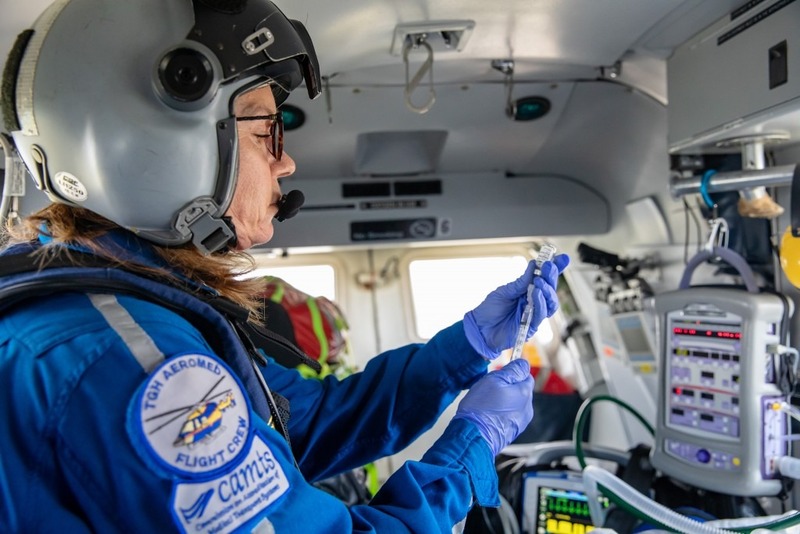 Aeromed flies to the scenes of accidents and injuries in a 23-county region. Five helicopters operated by Metro Aviation fly from bases at the main TGH campus on Davis Islands and other locations in Bartow, Sebring and Port Charlotte. The team transports patients to TGH, the region’s Level 1 Trauma Center, but also takes patients to other hospitals. Scott has worked for more than 20 years alongside Chief Flight Nurse Kathy Koch and credits the whole staff for fostering a close-knit team relationship. Dr. Juliana Lefebre is the medical director. 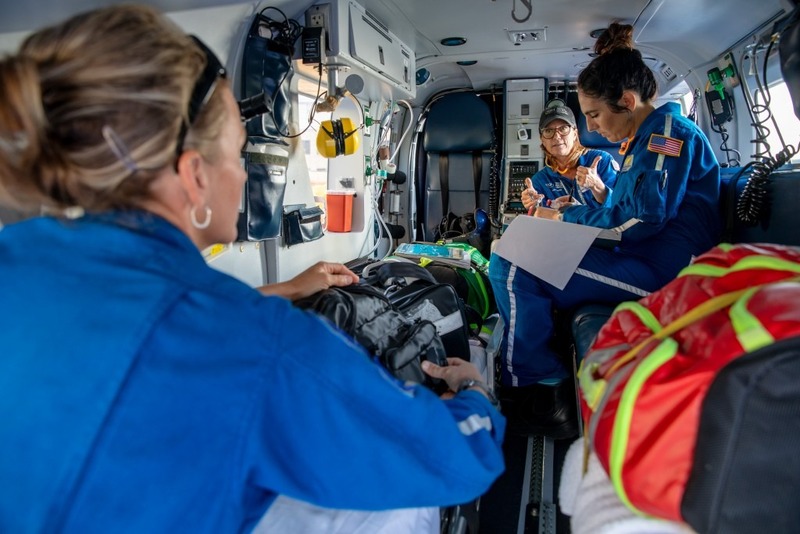 The team flew nearly 1,700 safe patient transports last year, including more than 600 adult trauma cases, more than 100 pediatric trauma cases, 35 burn victims, 18 high-risk pregnancies and 32 neonates. On board, the patient flies in what amounts to an airborne ICU, equipped with ventilators, oxygen, medicine and more. The nurses and paramedics are trained to provide treatment during flights. That can include advanced airway management, stabilizing hemorrhaging patients and more. It’s all about giving patients the best chance to survive and bringing them to the specialists at TGH or another hospital. “Here in our hospital is where the masters are,” Scott said. The main goal of Aeromed has never changed, Scott said: to provide exceptionally high quality care in the safest manner possible.